From the Vendor: Whenever the word “Maeng Da” comes across a Kratom user, it is evident that it will bring something good. Green Maeng Da is a sub-type of Maeng Da Kratom which is now available for purchase in all leading Kratom vendor websites. Relatively, it is a new strain for most of the people which weren’t common a few years ago. Although, Maeng Da is a familiar enough, still most people share the experience with red Maeng Da. Many of them don’t believe that there are more options in Maeng Da i.e. white and green strains. Wonderful Product!!!!!!! Helps me focus at work, and relieves a lot of my anxiety. Great product! Makes me feel a ton of energy for hours after taking them in the morning! Great mood enhancer! I have fibromyalgia and depression. It has helped me to stay active and focused. Make sure you take the recommended dosage. Too much will make you nauseous. I’m waicing on my second order. Received my order very quickly. I have been taking diet pills to try and get back some energy, the result was shaking hands, heart beating very rapidly. I love the amount of energy this gave me without the nervousness, shaking, etc that diet pills have. I also had less pain and anxiety and much much more energy!!! I will be buying more!!! For the price it’s worth a try. Glad I did. I started using kratom almost a year ago, I have found that Maeng Da works just about as well for pain and anxiety as the prescriptions I’ve been given over the last 8 years for a spinal surgery that healed badly. Purkratom is the best and most reasonably priced that I have found. Each of the strains I have tried do just as they, and all of their reviewers & users. I have RX’s for various maladies, however, they make me so darn tired, and I have a very busy, unforgiving job. I was finding I’d be so tired by mid-late afternoon I was struggling just to get through the day. The Green Maeng Da is excellent for energizing, mood enhancing. Red Vein is great for pain. And the white Sumatra is such an interesting blend, and the results you get will vary depending on what you take. Frankly, I’ve found mixing the strains (within reasonable limits, of course) to also be extremely beneficial (ex: in morning i’ll mix the Green Maeng Da with White Sumatra; later in the day when I’m having pain and getting fatigued, I’ll go to Red Vein, with White Sumatra). And you don’t feel like crap or have the desire to down a bunch more, the way opiods can make you fee. Frankly, and this specifically is for PurKratom.com, I’ve tried local purveyors and honestly, the quality is not the same as from PurKratom.com. I’ve been purchasing exclusively from this Company for quite some time, and have found their customer service to be outstanding, as well as their products. I am so grateful to have found Kratom, and this site, really! Love you guys! This helps me tremendously with anxiety and pain I get in the colder months that can leave it unbearable, this helps make it bearable. I absolutely love this Kratom. Makes me feel good without feeling drugged. I really can’t tell much difference between the different strains, all make me happy. It does work.It helps ease pain and stress and at the rite does it gives a great euphoric feelings Perfect for an energy boost and greatly helps ease my anxiety and stress I WOULD HIGHLY RECOMMEND MAENG DA- IT WORKS! I highly recommend the Maeng Da strain. 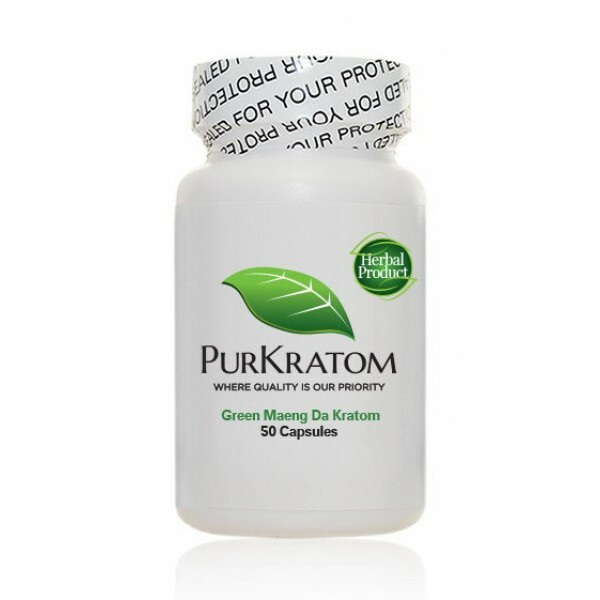 You will not find a better price for this “Top Tear” Kratom Strain than you will right here at Purkratom.com. Plus, for me and evreyone of my family and freinds we dont use any other strains. Its both great for Energy & Pain relief, you just have to find your correct dosage! I used to spend a lot of money on both gas and product by having to travel to a head shop a few towns over from mine in order to make a purchase. Plus, their prices were way too expensive! With purkratom.com, the prices are amazing, the product is great and the shipping is quick & convenient. I can not recommend this company enough! For regular users, this is definitely the place to shop. I will never stop using Kratom. I am so glad I found out about it. A friend told me I should see if it would help with the fibromyalgia and chronic pain. I researched it and decided that I would at least try it. Never know unless you try, right? Boy was I amazed. My pain level was at a 8 on a scale of 1-10 and I took 3 kratom with a small glass of Orange juice. Within 30 minutes my pain Level was down to a 3. I was running around cleaning my house like a mad woman I was so happy. I had not felt that good in years. NOw I take kratom everyday. The maeng da kratom is absolutely incredible for opiate withdrawals! It covers withdrawal symptoms by at least by 90%. This kratom has been a GOD send to me! I’ve tried other brands, and they don’t come close in comparison in quality of product, in effacacy, and price! It truly is the best on the market. Thank you Purkratom for saving my life!!! To sum it up, this helps extremely well for my fibromyalgia – both the pain and the fatigue. Shipping is always on time, very friendly staff! It works beyond my expectations. Both the green and white provides a feeling of confidence and the ability to get things done. Thanks Tim G.
Perfect for an energy boost and greatly helps ease my anxiety. Love this product. This product gave me hope to have a life again without being in pain every minute! Works wonderfully and quickly to relive pain I have from lymphedema. I became interested in this product because my mother-in-law was experiencing unusable anxiety over her recent illness and pain. After taking 3 pills her mood improved and the pain was considerably less. She is 76 years old and loves this natural pain killer. Thank you. I have had two major back problems, this product helps with pain and gives me a little energy boost. Stop taking Prozac for anxiety and the withdrawal started kicking in after 3 days. I took this Kratom and about 20 min later I felt like a new person. This stuff really does work miracles! I was very skeptical when I first heard of Kratom. At 20 years old I was diagnosed with a degenerative knee condition. After nearly 15 years of “tolerating” unimaginable pain on a daily basis, I really believed that the pain was just something I was going to have to deal with for life. The depression and anxiety that came as a result of the pain and diagnosis was unbearable. So, a friend mentioned Kratom to me, I did a little research and gave it a shot. One of the best decisions I have ever made! I can walk, sleep and enjoy life without constant concern about how I am going to maintain. It works! I can’t say enough good things about it! Not only does Kratom work but, the price is the best I’ve found. I am beyond satisfied!!! Absolutely love it. It has a calming effect,. I have no anxiety when I take them, helps me be more sociable. No after effects, I truly feel it helps me perform my job responsibilities in a more effective manner.